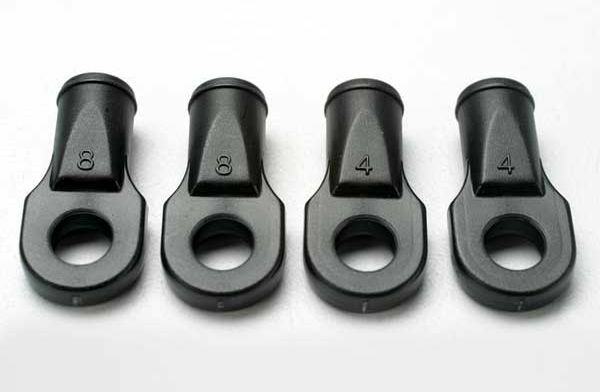 This is TRA5348, a set of Rod Ends for the Traxxas Revo. They are to be used on the Rear Toe-Link Rods only. INCLUDES: Four Rear Toe-Link Rod Ends. COMMENTS: Ring on the rod end shaft denotes for Rear Toe Links only. If Pivot Balls are needed, use TRAC5355.